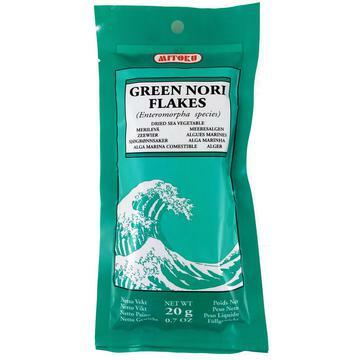 Natural Import Company - Traditional Japanese foods - Green Nori Flakes - .7 oz. 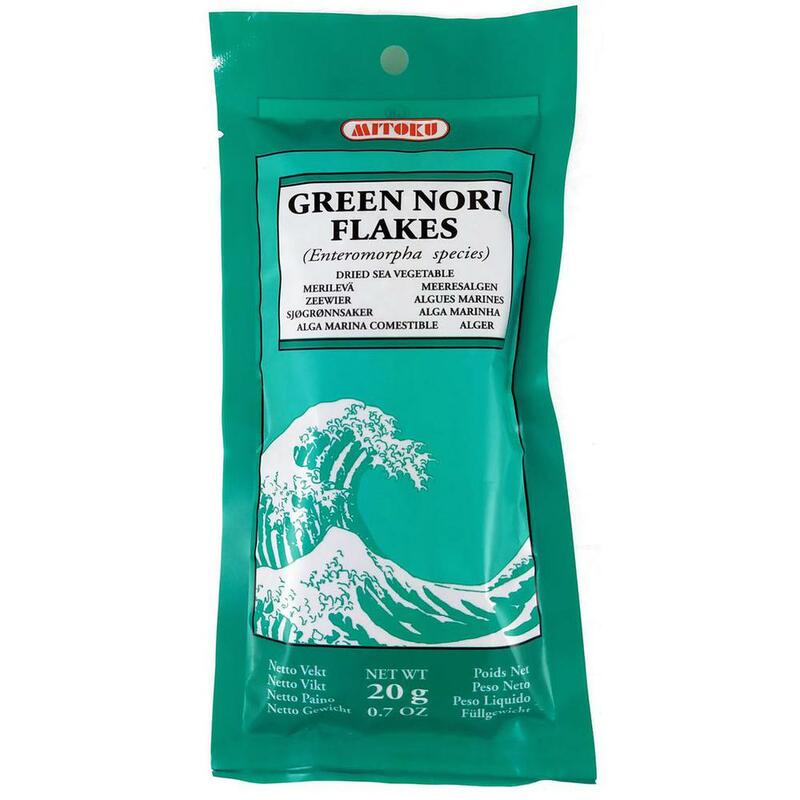 Green Nori Flakes - .7 oz. Ingredients: Japanese blue-green nori flakes: ao-nori (Enteromorpha species). Ao-Nori is a delicious, versatile culinary herb from the sea. Like many of Japan's most prized foods, Ao-Nori was once a tasty luxury reserved for the elite classes. Sprinkle this delicious, sun-dried sea vegetable over grains, noodles, soups and salads. Ao-Nori also richly seasons soups, stews and casseroles. It's the perfect topping for fried noodles, tofu or mixed into tempura batter, as it adds a colorful gourmet touch. Most popular when sprinkled atop "yakisoba."